A few months ago, I wrote about my reverse engineering attempt to Logitech Unifying devices. Back then, I concluded my post with big hopes on the future after receiving a document with some part of the specification of the HID++ 2.0 from Logitech. A couple of weeks ago, some of my summer work has been merged to UPower, adding battery support for some Logitech devices. 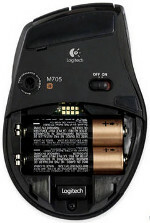 As I discovered late in my first reverse engineering attempt, Logitech developed a custom HID protocol named HID++. This protocol exists in two versions, 1.0 and 2.0. Some devices talk with version 1 of the protocol (like my M705 mouse) and some others talk with version 2 of the protocol (like my K750 keyboard). Recently, I've been able to be in touch with a Logitech engineer who worked on the Linux support for the Unifying receiver, and he has been really helpful and exposed me some details about this protocol. Logitech made the decision to publish their HID++ specification publicly about a year ago, but still didn't do it. The internal review needed to publish such documents hasn't be done yet. The only published draft is just an extract of the specification, with even some typo in it as I discovered. Some other documents have been recently published, but I didn't have the time to review them. They contains HID++ 1.0 specifications and some details I asked for about the K750 keyboard. It took me sometime to get a full understanding of the protocol, its different version etc. After reverse engineering my K750 keyboard, I've also reverse engineered the data stream used to get my M705 mouse battery status. I've also received some information about the HID++ 1.0 protocol, so I've been able to discover a bit more on what the packets mean. Most of my discoveries are now used to do proper #define in up-lg-unifying.c so the code makes more sense. 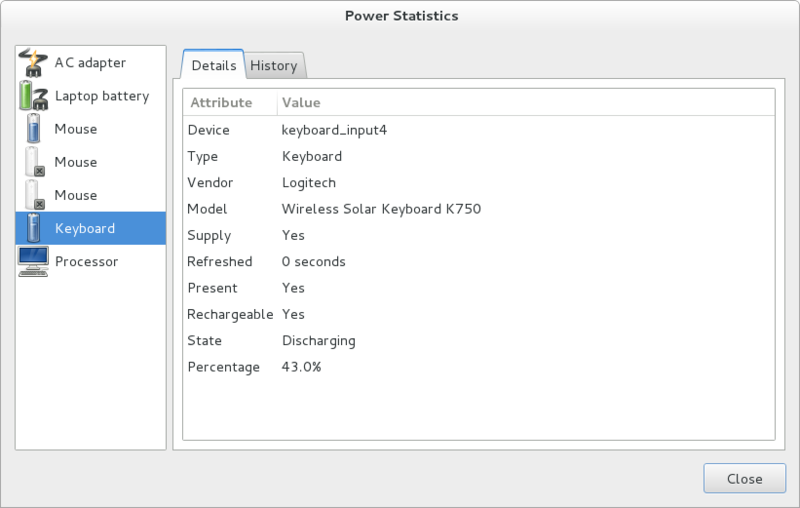 My first patch implements a new property for UPower devices, named luminosity, that use with K750 keyboard to report the light level received. The second patch add support for Logitech Unifying devices (over USB only) and should work with at least Logitech M705 and K750 devices. This should be available with the next version of UPower, which should be 0.9.19. So far, Logitech has been kind enough to help me understanding part of the protocol and even sent me a few devices so I can play and test my work with them. Unfortunately, this will probably requires some work and time, and so far Logitech was not able to help with that. There should be enough information out there to at least add support for battery to HID++ 2.0 devices, and probably a few other things too. I hope I'd get the time do this at some point, but feel free to beat me in this race!